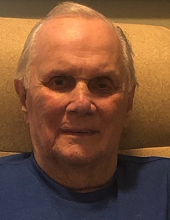 On Saturday, March 30, 2019, Robert “Bob” Pollack, 80, passed away at his daughter’s home in Jacksonville FL after a short, but courageous battle with cancer. Bob is survived by his daughter, Susan Smith (Greg) of Jacksonville; son, Robert Pollack of Ft. Lauderdale FL; grandsons Matthew Jones of Bradenton, FL and Blake Pollack of Lakeland FL, great-grandson, Ramsey Pollack, also of Lakeland; a brother, Jack Pollack (Terry) of Gaylord MI, a sister, Shirley Mallet (Harry) of Warren MI and many loving nieces, nephews and extended family members. He is pre-deceased by his father, Thomas Pollack, his beloved mother, Clara and step-father, Alex Spring; as well as siblings Leonard, Arthur, Florence, and Thomas. Robert was born in Detroit MI in 1938, graduated from St. Ambrose High School and Wayne State University. He began his career as an executive with Owens Corning in Toledo OH. He later worked and lived internationally as an executive in the shoe industry. In 1990, he moved to Miami, FL, purchased and successfully operated G&S Building Supply. In 2002, Bob sold G&S, retired and moved to St Augustine FL. Bob was an avid boater, loved deep-sea fishing in Central America, and international travel. However, his life’s passion was spending time with animals: his horses and beloved golden retrievers Bayle and Baylee. He frequently visited hospice and elder care facilities with his dogs to comfort the patients there. He was also a generous supporter of many charities, including, but not limited to: St Jude’s Children’s Hospital, The Humane Society, Animal Rescue Organizations and religious organizations. He was a devout Catholic and active parishioner at Our Lady of Good Counsel in St Augustine. Funeral service will be on Saturday, April 13 at the funeral home. 10:00 AM instate, or gathering time. 11:00 AM service time. Procession to Resurrection Cemetery to follow. To send flowers or a remembrance gift to the family of Robert Pollack, please visit our Tribute Store. Instate, or gathering time 10:00 AM. Procession to Resurrection Cemetery to follow. "Email Address" would like to share the life celebration of Robert Pollack. Click on the "link" to go to share a favorite memory or leave a condolence message for the family.